Off Avon Rd just west of Livernois. Attend a Town Hall meeting. Future Town Hall and informational meetings are being planned. Sign up to receive notification. Use your voice to demand change for the things you care about. Whether you send an e-mail to the mayor, call your City Council representative, or vote in an election, you are making a difference! Tell your city and state representatives how you feel about having oil and gas operations in and around our neighborhoods. Connect with us. Sign up for email updates via our Mailing List. We will keep you up to date on our progress and reach out to you when we need your help. Donate your time or skills to help your community. Contact us and tell us how you would like to help. 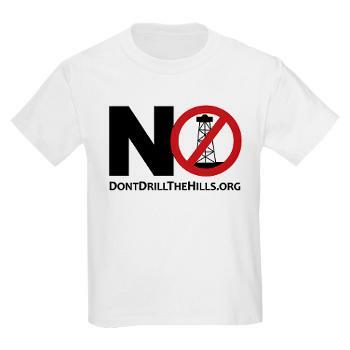 We are accepting donations through Don’t Drill The Hills, Inc. ( a grassroots organization and non-profit corporation). The donations help us provide information and build awareness, to both policy makers and residents, of the financial and environmental risks of horizontal oil and gas drilling in high density residential and K-12 school areas. Donations also fund our pending litigation against the City of Rochester Hills and Jordan Development. 40 CFR Parts 60 and 63) to be assessed to the operators of these Oil and Gas processing plants. What can you do? Get involved, inform your neighbors, inform your subdivision homeowners association there is no need to sign leases. Should compulsory pooling come about, the 1/8 proportion of royalties are the same as signing a lease, plus you receive a your portion of the remaining 7/8 production as a business partner – after drilling expenses are recovered — according to the Michigan State University Extension, Being compulsory pooled offers far greater compensation — the Oil companies prefer you to sign their lease so they do not have to share their 7/8 remaining profits with you. As a resident of the City of Rochester (not the hills) I’m frustrated that I have no say in this matter. My small city is literally surrounded by Rochester Hills. My water comes from the city well/tower, which is not far from all of the drilling/fracking sites. I want to know what the City of Rochester is doing about this and if the City of Rochester could possibly join the lawsuit against Rochester Hills. I’m completely frustrated and my wife and I feel helpless in this matter. We just went through something very similar where we used to lived in the village of New Haven in Macomb County, before our move to beautiful Rochester Hills. Our New Haven village president and trustees entered into a host agreement with Rizzo Environmental Services to build a second landfill directly across the street from the huge and only existing active landfill in Macomb County, located between 28 & 29 Mile Roads, East of Gratiot. The new landfill would have encompassed a large area between 27 & 28 Mile Roads. This agreement was done without the knowledge or vote of the people and there was a huge public outcry. The trustees had to back down, rescinding the agreement and Rizzo agreed to not pursue the landfill. Subsequently, THREE trustees of the village of New Haven, plus the village president were removed from office through recall and other members were elected. Things can get FIXED if people will stick together and let their voices be heard!